Sometimes only excess will do. One of the things I love best about food is that it offers many opportunities to indulge your friends without breaking the bank. You’re probably not about to buy your friend a Lamborghini, an original Matisse or a Dior dress. But a perfect peach (in season) isn’t out of the question. And while you may not be able to give your favorite people jars of caviar or entire truffles, there are other ways to make them feel indulged. Consider, for example, this Truffle Butter. It’s just a tiny jar, but when you open it up, put a small dollop onto a baked potato or a slice of warm, rare steak, the aroma leaps into the air and fills the room. It’s really intense. The first time I tried it I was reminded of an evening I spent in the kitchen with Alain Ducasse. The great chef took a huge black truffle, sliced it into thick disks, and then slowly spread each one with butter and fed them to me, slice by slice. 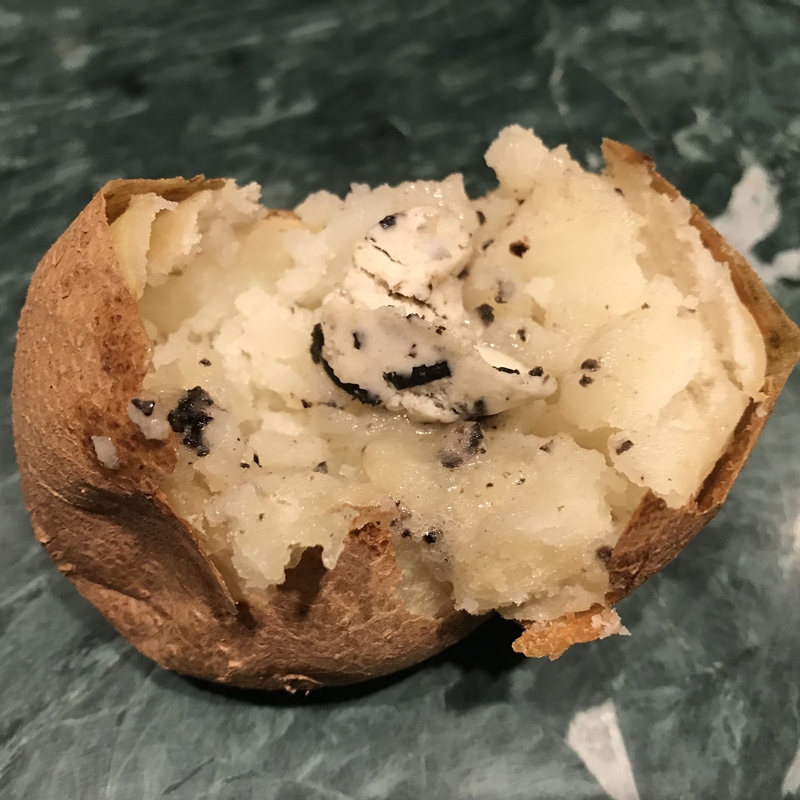 I doubt I’ll ever have another experience quite like that, but last night I baked a potato, slathered it with this truffle butter and was transported back to that moment. The Truffleist’s fine butter is nothing more than excellent butter, truffle and salt. It will keep in the refrigerator for months so that any time your friends feel low they can spoon some onto pasta or spread it onto a slice of toast; at $40 it’s a wonderful reminder to be grateful that there are so many fine flavors in this world. 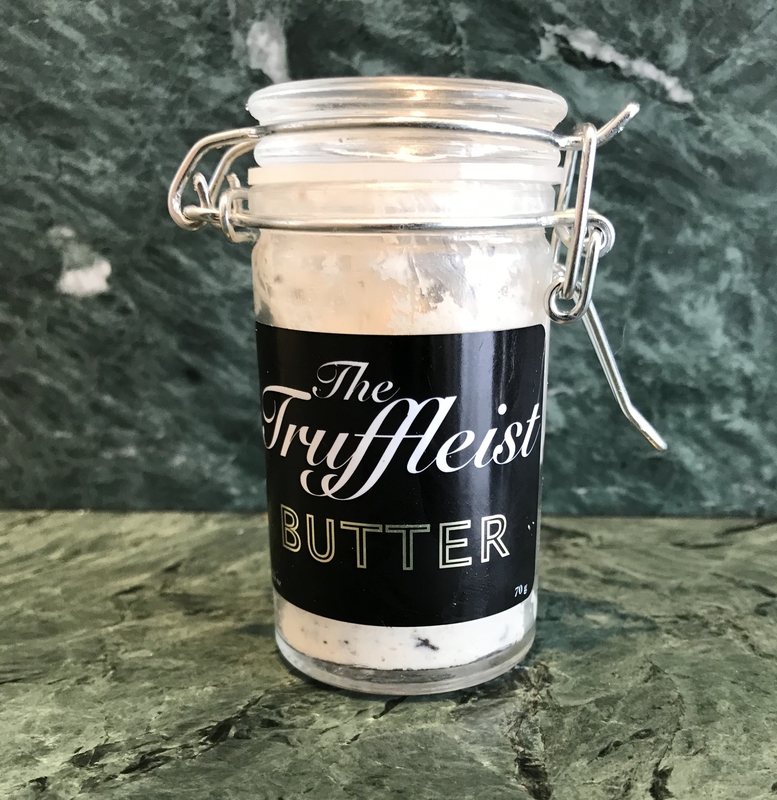 I have tried this Truffleist truffle butter and is is great! Being the indulgent fool that I am I used a whole little jar for a pasta dish for two people. It was such a pleasure.